Get Off That Hamster Wheel! Mental Health Awareness Week is taking place from 8th to 14th May 2017 and IP Inclusive is running events during this week. 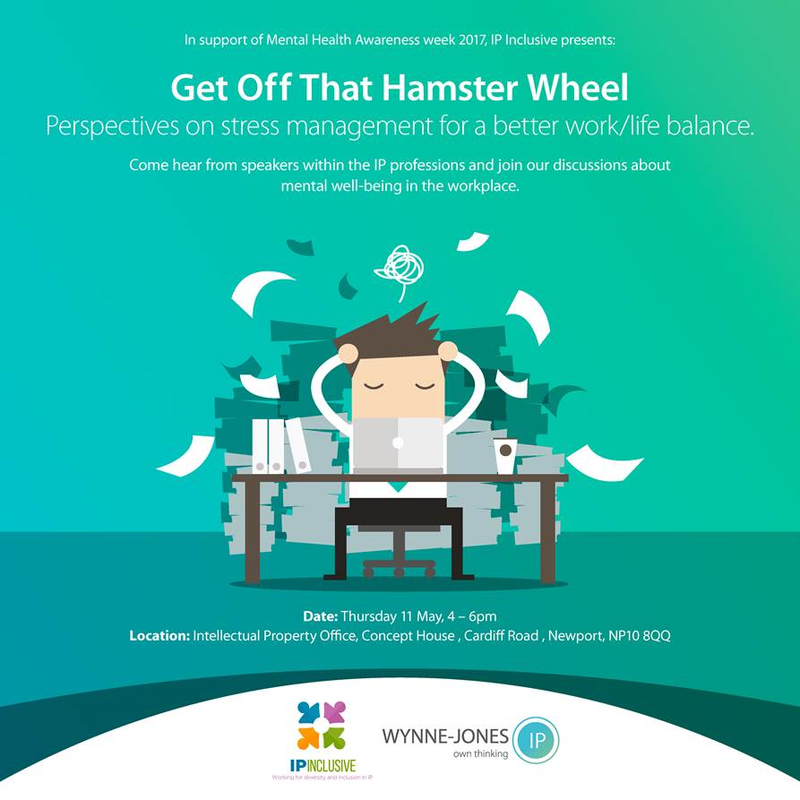 Wynne-Jones IP and the UK Intellectual Property Office (UK IPO), both supporters of IP Inclusive and signatories of the IP Inclusive Charter for Equality, Diversity and Inclusion, are jointly running an event on mental health at the UK IPO in Newport (Wales) on 11th May 2017. For more information, see the event poster below, and head here to book your space at the event. We hope many of you will be able to join this event to explore this important topic.Check this blog regularly to hear about other events in this series. (See here for the event taking place in Leeds). If you are organising your own event for Mental Health Awareness Week, please let us know and we’ll add it to this blog.